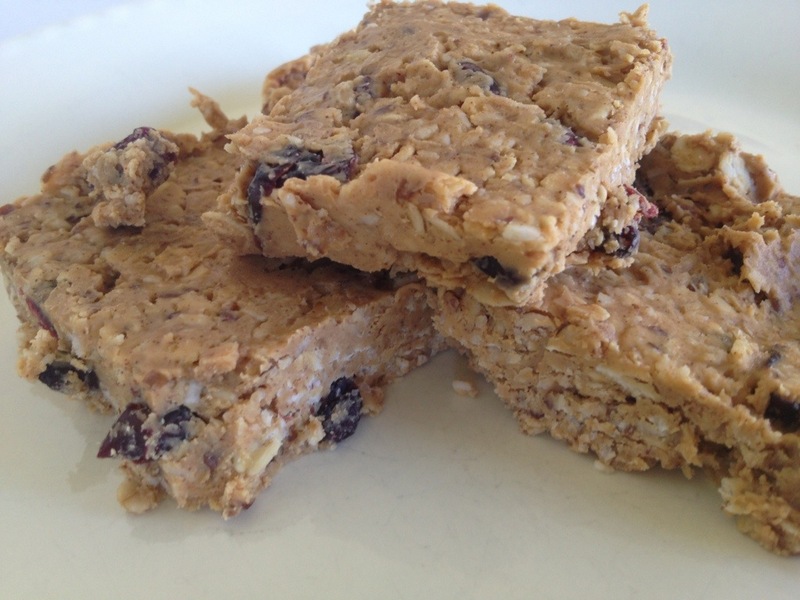 A super simple and easy bar recipe to have on hand…cut them in squares and keep in the fridge for a quick go-to snack! Combine pb, oats, coconut, and flax into a medium bowl. Stir until completely mixed and then fold in raisins. Line an 8×8 pan with wax paper, allowing wax paper to extend over sides of pan. Press mixture into pan and refrigerate for at least 2 hours. Pull wax paper “handles” up to bring out the whole bar from pan. Lay on cutting board, and slice and serve. Makes about 12 bars.